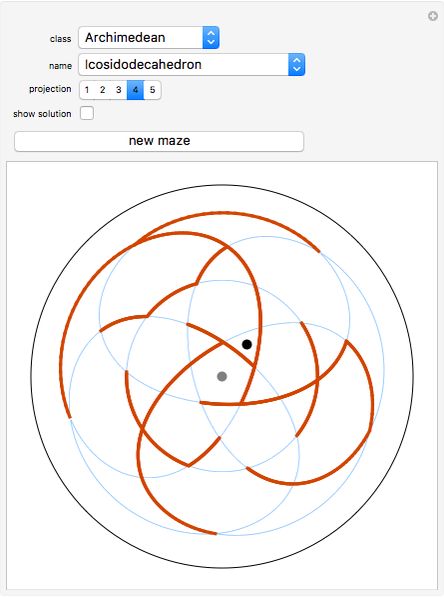 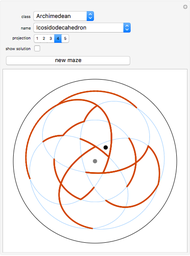 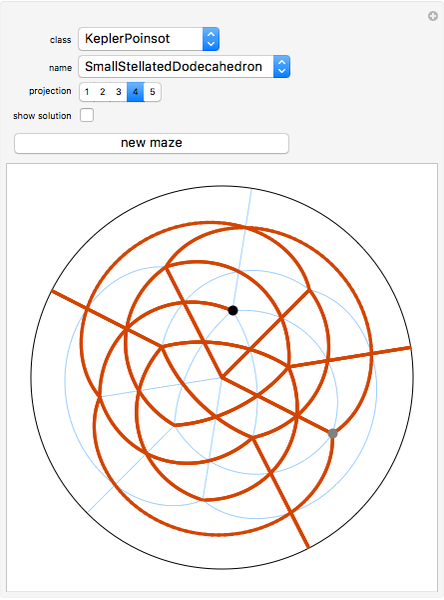 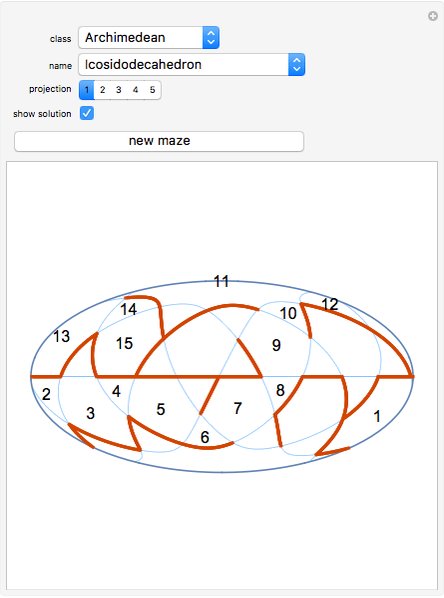 A maze on a polyhedron is given. 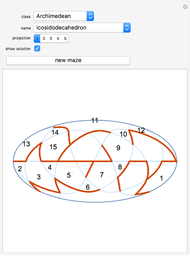 The solid is projected on a sphere, which is projected into the plane using a map projection. 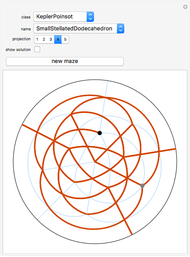 Izidor Hafner "Mazes on Polyhedra Maps"